[Review] Life Itself (Steve James, 2014) | Shut Up Hamish! The life of Roger Ebert, flaws and all is celebrated in this particularly moving documentary on the late, great cinematic figure. I initially wasn’t going to review this film, but Ebert is an inspirational kind of person, if an unlikely one, and his love of film makes film criticism seem like something honorable. His was an arguably right-place, right-time kind of success story, and film criticism does not have any kind of the weight now that it had in Ebert’s prime, thanks to sprawling destructive beast that is the internet. But any art-form has it’s golden era, and film criticism is no different. Ebert is one of the lucky few to have been able to do what he loved for a job, perfected it and been recognized for his talents. 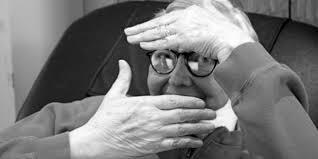 A colossal presence in the world of film criticism, Ebert’s love of film as presented in this film is infectious. The real reason why Ebert has such a moving and successful documentary made about him when so many other deceased writers, Hollywood figures and film reviewers have not, is that we can learn a lot from how he responded to the challenges thrown at him in the last several years of his life. Having lost his jaw to thyroid cancer, he chose not to give up and throw in the towel, but instead to carry on reviewing films, carry on hosting lectures and write even more through his blog. He was helped with the love of his very loyal wife, so not only do we get an insight into personal struggle and hope that can found within but also an insight into the lives of those who will continue to care for us even in ailment. Ebert’s relationship with his wife is a particularly moving thread throughout the film, an unlikely relationship in some ways as his wife even admits. The documentary is well pieced together, jumping between narrated sections taken from Ebert’s book also titled Life Itself, cutting to his youth and early career and to struggles in between. Ebert’s life is presented warts and all and the documentary makers don’t shy from talking about his troubles, such as alcoholism in his youth. His relationship with Gene Siskel is equally shown in an unbiased light, showing the tension between the two, both rival reviewers of different Chicago papers, and how strained their relationship behind the set of At The Movies often was. 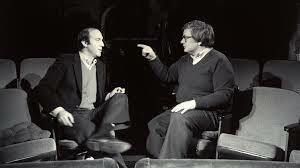 Siskel is shown as being creatively more dominant in decisions regarding At The Movies, yet Ebert was crucial to the success of the TV show. Ebert held the cards with each ongoing season of At The Movies, with Siskel said to have been in fear that his partner would eventually go solo. The developing dynamics between the two are explored as we see them becoming a tighter unit, and eventually friends. 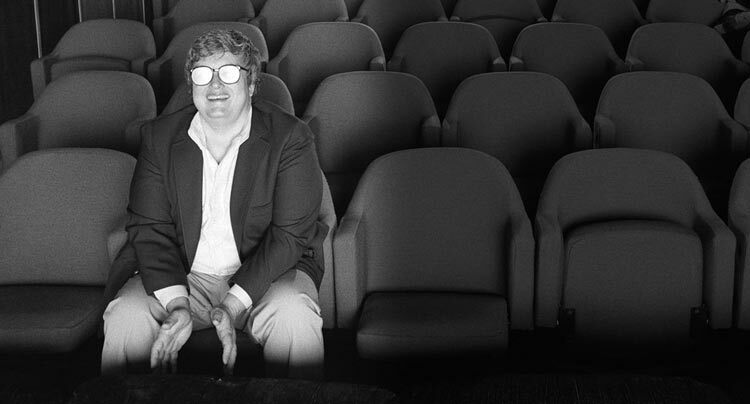 The life of a film critic might not seem the most gripping subject for a documentary but this film ends up being about so much more, showing a life fully lived – with all aspects of Ebert’s inspiring and very human journey explored. Ebert truly loved life – and film just as much. If he was alive to watch this biographical documentary on himself, he most certainly would have given t a very favorable rating. Probably even two thumbs up.